(64804/64801) — We are a small operation so we rely on tips from you. 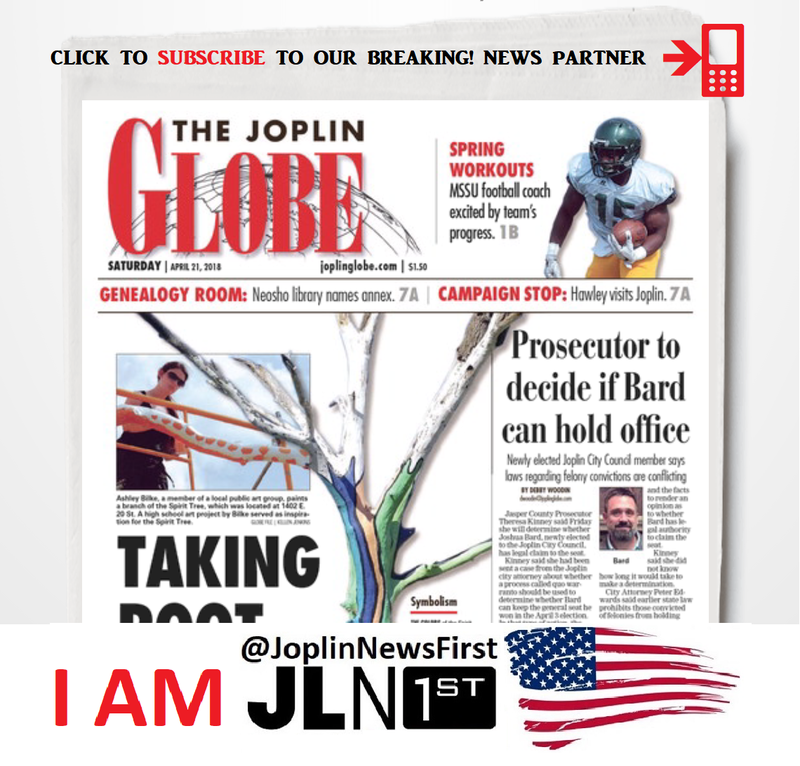 You can join the Joplin News First team. If you have any questions just message Joplin News First on messenger. Go to GOOGLE PLAY on your Android or the APP STORE on your iPhone and download SCANNER DELUXE - FREE. Then choose Jasper County/Highway Patrol Troop D. And click the ⭐️ to mark it as a favorite. Keep in mind this is only EMS and FIRE and MO Highway Patrol. The Joplin Police Department broadcast in HD and are not available to the public or the media. That’s why we need your tips when you see JPD SWAT or Joplin Police responding to a scene. That makes you invaluable as Joplin News First! you will see a long list of options when you use your location to search.